About a month ago, I took part in the Desire to Inspire Challenge at Henry Glass and Co blog. The premise is that you agree to design something using their fabrics...and they send you some really cool fabrics. What could be better than that? 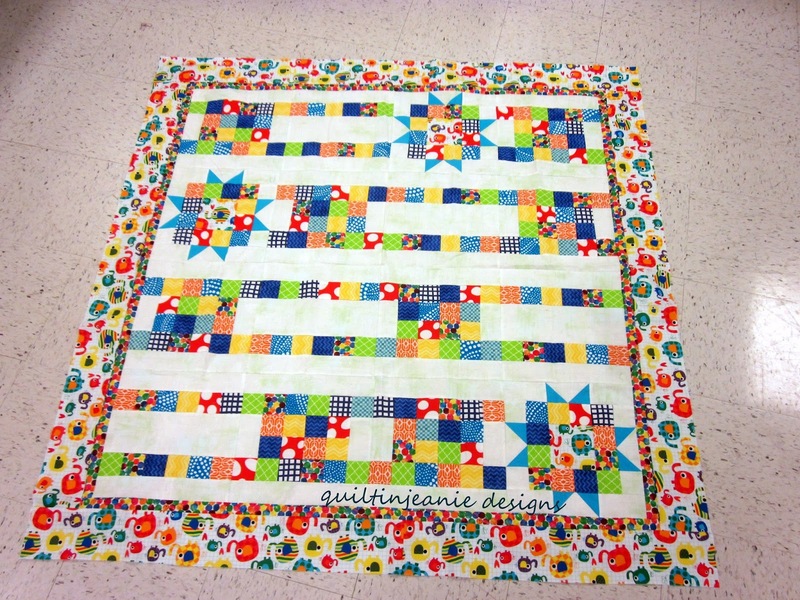 I was sent fabrics from the #LaughLoveQuilt collection by Amy Hamberlin. You can read my blog post here or follow the link above to see the post on the Henry Glass and Co. blog. I really like the pattern I came up with, Off the Beaten Path, and wanted to try it out using brighter fabrics. I needed to make a baby quilt, so decided to make it a bit smaller, but still child size. I don't know about you, but I always make my baby quilts at least 50" x 50". Then they can use them as they grow. I finished the top yesterday, so it is ready to be quilted. I purchases some cute orange and white polka dotted fabric for the backing, so as soon as I get that pieced, I'll be ready to quilt it. Fabrics I used in the baby Off the Beaten Path quilt. One block used in Sampler 23, Doing the Splits. Partial Off the Beaten Path blocks chillin' in the shade. Off the Beaten Path would make a fun class. Especially the baby size. Hint Hint. 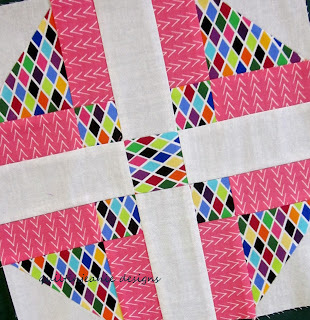 Love how the pattern looks in the brighter colors. Both quilts made with this pattern are beautiful. Not really Slow Dancing this week!